In mid-September, D-Tools appointed industry veteran Randy Stearns as CEO, in hopes that he would help the company focus on driving its corporate strategy to fuel future growth and deliver the next generation of D-Tools’ system integration software and data solutions. In mid-September, D-Tools appointed industry veteran Randy Stearns as CEO, in hopes that he would help the company focus on driving its corporate strategy to fuel future growth and deliver the next generation of D-Tools’ system integration software and data solutions. Stearns brings more than 20 years of executive leadership to his role at D-Tools.  He was the founder and president of Bay Area-based Engineered Environments, one of the nation’s largest and most respected custom residential systems integration firms. He subsequently led an industry consolidation that merged Engineered Environments with six other industry leaders to form VIA International Inc. Through 2014, Stearns acted as CEO of VIA, which, until recently operated in eight western states with 350 employees and $70 million-plus in revenue. He also has been an active volunteer for CEDIA and served on the CEDIA board of directors for eight years, including a term as chairman. Stearns holds an undergraduate degree from Dartmouth College and an MBA from the University of Southern California. Another draw was D-Tools’ position at a market leader in its category. “Being the market leader creates an ideal platform for growth and leveraging market opportunities,” he said. D-Tools has historically done a surprisingly good job developing products that meet the specific needs of systems integrators, Stearns also pointed out. There are, however, “certain subtleties” in the day-to-day operations of a system design and installation business that he believes simply cannot be understood unless you have “lived in” that world. “In the short time that I have been with the company, it has become clear that given my background, I can assist in leading to an improved feature set, which will benefit the user community in a variety of ways, some subtle and some significant,” Stearns said. When asked to assess some of its strongest current features, Stearns said that, at its core, D-Tools has always been a best-of-breed system design and documentation solution. Its most significant differentiator, he said, is the product’s deep integration with Visio and AutoCAD, but it also offers the industry’s largest and most comprehensive product library, which includes product images, dimensions, power requirements, BTUs, inputs and outputs, and even pricing and availability through D-Tools’ recent partnership with SupplyStream. Looking ahead, Stearns said that SI 2016 will include an advanced change order module, enhanced purchase order and order tracking features, integration with QuickBooks Online, an updated proposal wizard that will streamline the proposal generation process, SupplyStream integration, and much more. “Before long, D-Tools will offer a complete end-to-end solution (when integrated with supported accounting and CRM solutions) by expanding the set of project management tools. Ultimately, an enterprise version will provide business intelligence, predictive analytics, interactivity with vendors and clients, and more,” he stated. While Stearns said that he misses the direct client interaction he once enjoyed as a home technology professional, he also felt that he operated in a silo. But with D-Tools, he said he likes that he can support the industry in a broader scope through the conceptualization, development, and provisioning of “critical productivity tools that improve our customer’s bottom line” and even their day-to-day life. “I feel like I am contributing to the betterment of the industry as a whole, which for me at this stage of my career gives me a greater sense of purpose,” he said.